Doug Kalesnikoff is an Assistant Professor with the Edwards School of Business at the University of Saskatchewan. His teaching responsibilities include MPACC806 - Assurance for the Masters of Professional Accounting Program, MBA803 and 844 -for the Masters of Business Administration Program and COMM420 - Fraud Prevention Detection and Investigation for the undergraduate program. 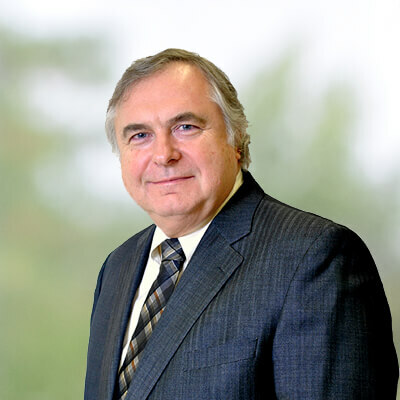 In 2004, 2006 and 2008 Mr. Kalesnikoff was awarded the MPACC Teaching Excellence Award which is sponsored by the Institute of Chartered Accountants of Alberta. Investigation of alleged frauds on behalf of the R.C.M.P. Commercial Crime Sections, corporations and government agencies. Investigations of alleged drug traffickers on behalf of the R.C.M.P. Anti-Drug Profiteering and Proceeds of Crime Sections. Investigations into government corruption and fraud allegations for both the Williams and the Blom-Cooper Commissions of Inquiry for the Federation of St. Christopher and Nevis, West Indies. Investigation into government corruption, theft and fraud allegations of the Medical Benefits Scheme for the McIntyre Royal Commission of Inquiry in Antigua and Barbuda, West Indies. Compliance audits for royalty and tax matters for the governments of St. Kitts-Nevis, Jamaica, St. Lucia, St. Vincent-Grenadines, Antigua and the Cayman Islands in the Caribbean. Mr. Kalesnikoff has developed and instructed courses on Forensic Accounting and Fraud Auditing provided to the R.C.M.P. Commercial Crime Sections of Saskatoon and Regina, the Saskatchewan Police College, the Saskatoon City Police, the Calgary Police Service, the Inland Revenue Service of the Federation of St. Kitts and Nevis, the Tax Audit and Administrative Department of the Jamaica Revenue Service, Saskatchewan Crop Insurance, SaskPower, Credit Institute of Canada, Certified Fraud Examiners and the Institute of Chartered Accountants of Saskatchewan. Mr. Kalesnikoff was featured in an article titled "Our Man in Antigua" in the October 2002 issue of CA Magazine, a publication of the Canadian Institute of Chartered Accountants.